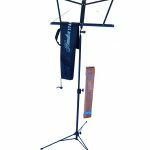 Music Stand (Folding w/ Bag) - Hoffmann Strings, Ltd. The most popular and enduring model from Hamilton Stands. The music stand has a two-section base with trapezoid-shaped desk–originally developed by Hamilton Stands–and folds and sets up quickly and easily for kids and adults. The desk has a deep shelf for holding extra music and spring clips for keeping music in place, and cam locks are used for height adjustment. The legs are secured by the spring-loaded “Hamilton Hook,” which snaps into a hole in the lower tube. 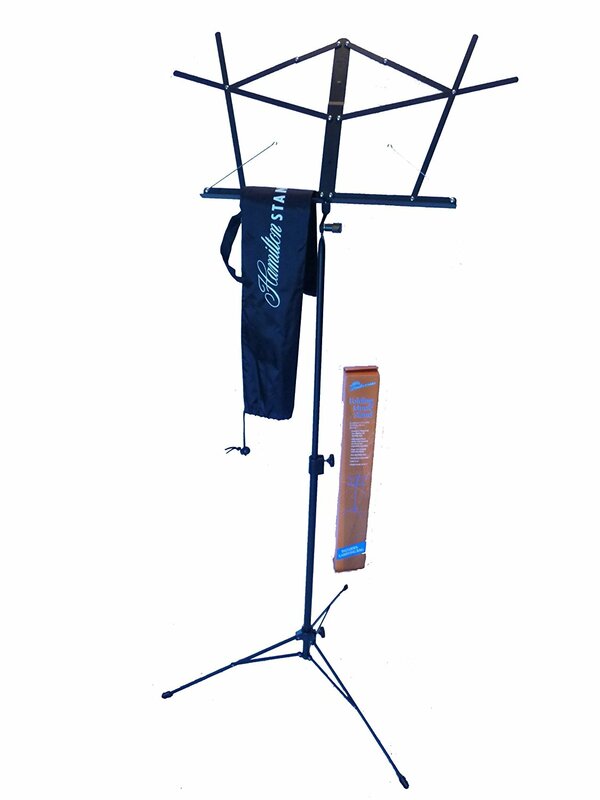 This sheet music stand carries a limited lifetime warranty against defects in materials and workmanship. © Copyright 2019 Hoffmann Strings, Ltd.